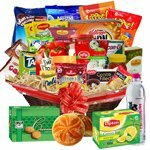 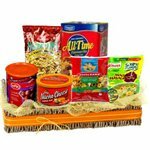 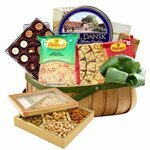 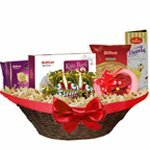 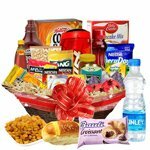 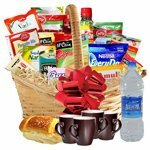 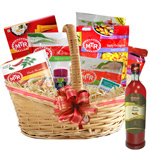 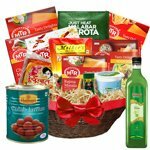 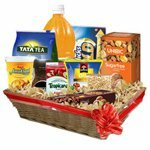 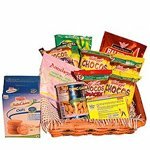 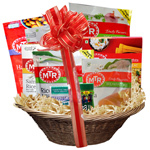 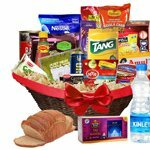 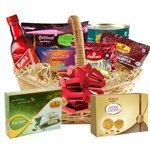 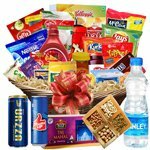 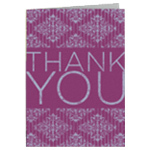 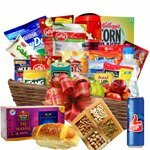 Gift someone close to your heart, this Epitome of Good Taste Gift Basket as a phenomenal symbol of your limitless love. 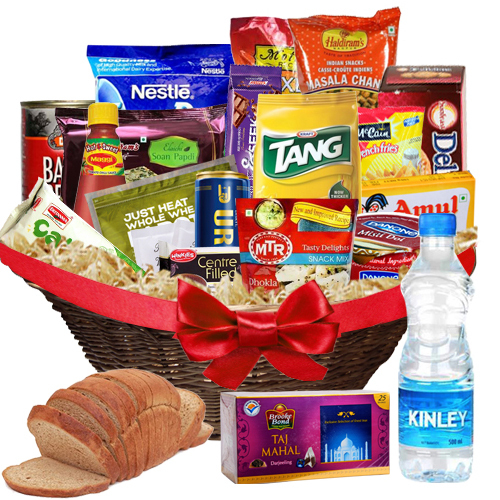 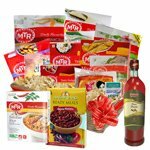 Britannia Cake - Pineapple (65 gm), Winkes Cake, Brown Bread, Id Just Heat - Whole Wheat Parota (3 pcs, 350 gm Pouch), MTR Breakfast Mix – Dhokla, Danone Misti Doi - Traditional Dessert Drink (85 gm Cup), Maggie Ketchup, Amul Butter, Urzza Energy Drink (250 ml Tin), Tang Instant Drink Mix - Mango Flavor (500 gm), Kinley Mineral Water (500 ml Bottle), Taj Mahal Tea Bags - Darjeeling (25 pcs, 32.5 gm Carton), Nestle Dairy Whitener - Every Day (200 gm Pouch), Sugar Satches, Parle Chocolate Chip Cookies - Hide N Seek (120 gm Pouch), Sunfeast Delishus Gourmet Cookies - Nut Biscotti (75 gm Carton), McCain French Fries (450 gm Pouch), Druk Baked Beans, Haldirams Namkeen - Masala Chana (150 gm Pouch), Haldiram Soan Papri and Mothers Mixed Pickle are included in this Gift Basket. 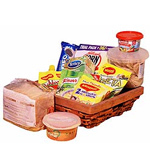 Note: Basket design may vary depending on availability.